Love this shot. Sharp where it needs to be. Soft and glowing otherwise. I love the monochrome conversion - it really works well with this shot. Composition is interesting especially in the portrayal of depth. Truly beautiful! Love everything about it. Great work, Tom. Nice effect on this shot. Also good focus. I love this shot! It's really simple, but really packed with awesome. Adding to my faves. Good luck! added this to my favs and in my "inspiration" folder. nicely done. This is a really great capture, love the treatment and the composition. I always enjoy it when some one can take the mundane and creat art. I really like the tones in this. 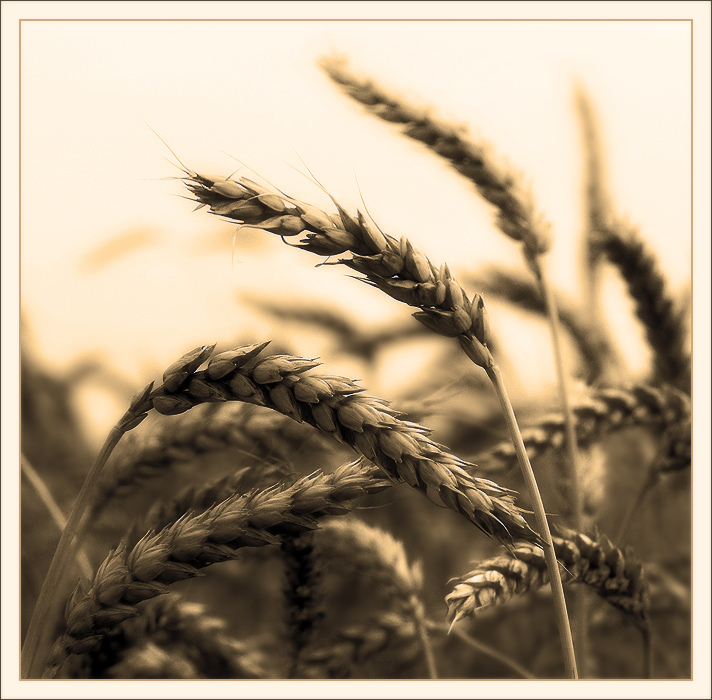 Perfect duotone, love the light shining on the grain, very nice image. Well done! This is wonderful. I can feel the texture of the grain just by looking at this. Beautiful closeup and the tonal value is perfect. Nice title, too. beautiful tones and DOF. Well seen and well taken. I like it most in the challenge - bump to 10.
very good tones here. Seems the background may be blown out, but It kind of works for the picture. ever seem gladiator? Too bad this wasn't a Movie Challenge..you would win fo rsure. Proudly hosted by Sargasso Networks. Current Server Time: 04/20/2019 12:36:54 AM EDT.